A team of intrepid accountants will visit the Donna Louise Hospice on Thursday after raising more than £7,000 for their local children’s hospice in a gruelling day-long challenge. A cheque for the same mount is also being sent to Parkinson’s UK. Directors and staff from Geens will be joined by their former receptionist Linda Wood whose illness inspired them to enter the Lake District Ultra event. Linda, the face of Geens for 40 years, retired recently and has since been diagnosed with Parkinson’s, a neurological disease with no cure. Her illness inspired an 11-strong team from Stoke-based Geens to take on the Lake District Ultra Challenge which consists of cycling, hiking, canoeing, abseiling and even a cliff jump. 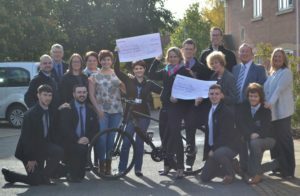 With money still coming in, Geens have raised around £15,000 which will be split equally between the Donna Louise and Parkinson’s UK. The challenge included around 33kms of cycling, primarily hill climbs, hiking up to the Old Man of Coniston peak, 11.5km of canoeing on Lake Ullswater, an abseil and a cliff jump. 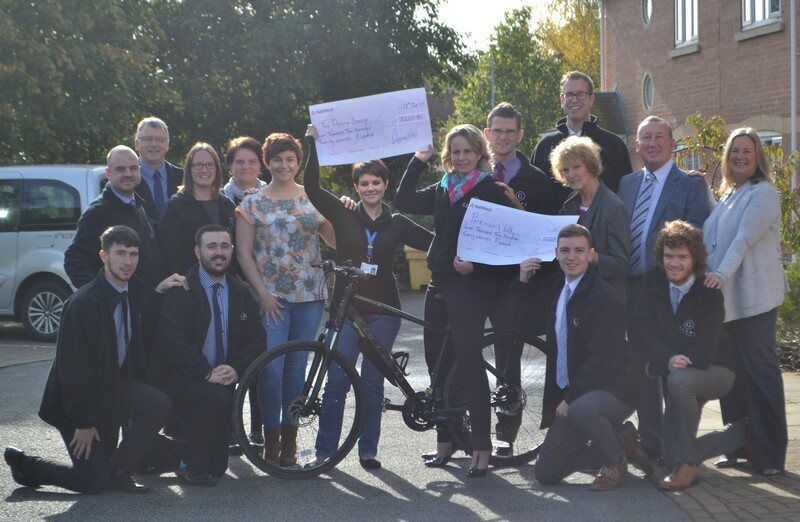 Staff at Geens have completed four challenges, including a Potteries Marathon, the Three Peaks, and multi-sport marathons in Snowdonia and the Lake District, raising in excess of £50,000 for charities.